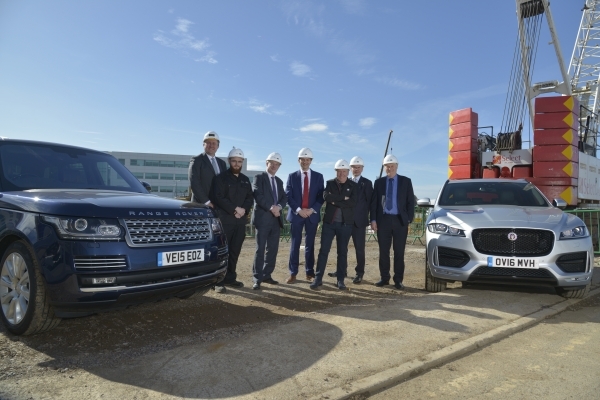 Jaguar Land Rover, the UK’s largest car manufacturer, today announced it is beginning construction work on a £200 million redevelopment of its design and engineering centre at Gaydon in Warwickshire – the latest investment in its ongoing commitment to growth and invest in the UK. The expansion represents the first major construction project at one of the company’s non-manufacturing sites in over a decade. The development is intended to become one of the world’s foremost automotive product, engineering and design sites – fitting for a company with ambitious plans for continued global growth. Chris Elliott, Property Programmes Director for JLR commented: The new design and engineering centre is a testament both to Jaguar Land Rover’s British heritage of innovation and its compelling vision for future vehicle technology. The new space will centralise our design, product engineering and purchasing functions in an original and modern environment, as well as creating additional capacity for the future. Jaguar Land Rover worked with leading architectural practice Bennetts Associates to design the scheme and has engaged Laing O’Rourke as its construction partner. Laing O’Rourke will develop the site to create a unique landscaped campus comprising new offices and Jaguar and Land Rover design centres. In recent years Jaguar Land Rover has invested heavily in its UK vehicle manufacturing facilities at Castle Bromwich, Halewood and Solihull to support the introduction of all-new vehicles such as the Jaguar XE, XF and F-PACE, Range Rover Evoque Convertible and Land Rover Discovery Sport. It has also made significant progress in building its international manufacturing presence over the last year, with a new manufacturing facility under construction in Slovakia and the opening of its plant in Brazil. Over the past five years Jaguar Land Rover has employed more than 20,000 people, taking its workforce to more than 40,000. The company has invested more than £11 billion in new product creation and capital expenditure.